I’ve been pleasantly surprised by how much coverage the dearly departed Don Van Vliet has been getting. Today’s LA Times had a large obit smack on the front page of the Calendar section. Here it is. I especially appreciated the degree to which Richard Cromelin noted the Captain’s influence (although I couldn’t help noting that the band Talking Heads is referred to as “The Talking Heads” — despite their having once released an album entitled “The Name of This Band is Talking Heads”). Early this evening on NPR I heard a rather lengthy coverage of Captain Beefheart’s career, including a bit of audio from one of his last interviews, conducted in the early 1990’s. In that interview at least, Van Vliet, who suffered from multiple sclerosis, sounded greatly weakened, and barely able to speak intelligibly. That, in addition to his frustrations with other performers and the general state of his musical career, made it easier to understand why he quit music for a highly successful career as a painter. Still, it was an odd experience hearing what I’d always considered a rather obscure and nigh “unlistenable” favorite act of mine profiled so lovingly on NPR. Finally, I caught Henry Rollins’ show on KCRW. 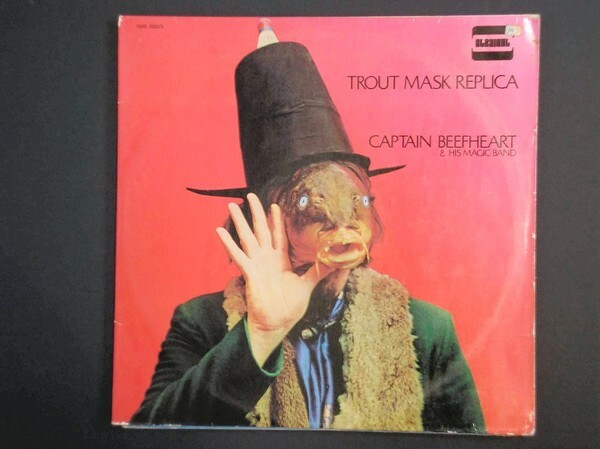 Although the online setlist doesn’t mention Captain Beefheart & the Magic Band, Rollins spoke passionately about the impact of their music, and played three tracks — one from the band’s first album, “Safe as Milk,” one from the masterpiece, “Trout Mask Replica,” and one from “Shiny Beast (Bat Chain Puller)” — spanning their career. All three were exciting and showed the impressive range of their inventiveness. Rollins said that all the Captain Beefheart albums are worth listening to (I agree), even though some are out of print. (Including the debut, “Safe as Milk.”) He said that often when an artist as significant as Beefheart does, someone will do a reissue or a compilation collection, and he’s hopeful for that. But then, more importantly, he said that he’s got ten 90-minute tapes of unreleased Captain Beefheart music and that he’s going to start digitizing it and throwing on the air. Some of us have been waiting almost 30 years for new Captain Beefheart music. Stay tuned. This entry was posted on Sunday, December 19th, 2010 at 12:29 am	and is filed under Music, Talking Heads, Thoughts. You can follow any responses to this entry through the RSS 2.0 feed. You can leave a response, or trackback from your own site.